More than 25% of all office workers say that this is inappropriate to wear to work; what is it? It’s seasonal - it’s typically worn only in certain seasons. More than 25% of all office workers say that Ugg Boots are inappropriate to wear to work! 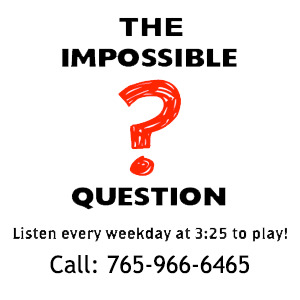 Congratulations to Joshua DeGroat of Connersville, IN for being the first to correctly answer the Impossible Question!